Book your winter service and MOT from £79 (including free re-test) For special website only prices please quote "WEB OFFER" when booking in your car. 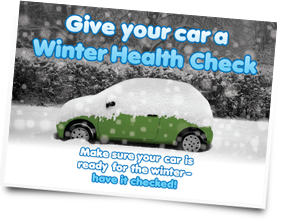 Now that winter is upon us it is the perfect time to have winter tyres fitted to your car. For a short time only we have an amazing offer on where we can fit winter tyres and store your summer tyres from only £25!!! When the sun is shining we will be more than happy to fit your summer tyres for no extra cost. For more details please contact us and quote "WINTER TYRE DEAL"
Contact us on 0131 258 9943 to book any of these amazing offers!!! !